Thanks for the congratulations everyone! Great News Austin! I love the pictures. Hopefully you will make it to a few events. Hopefully the struggle bus and I will be at this months third Thursday. It has really been a long winter. I have been very sick, and I've spent a lot of time in the hospital. I got to take the bus out in March, but it broke down in the middle of an intersection on the way to a doctor's appointment. I had it towed home and havent felt well enough to look at it until today. The motor all of a sudden was very loud, and I lost power. I could keep it running with my foot on the gas. Today I hooked up my smoke machine, hoping to find only a vacuum leak. Instead, I found the #1 spark plug laying on the side of the engine. I chased the threads then blew out the spark plug hole. Runs like a top now. I know that the plug shooting out is probably indicitave of an issue, but I won't be addressing it until after September. I screwed up that head in a couple of ways because I made sloppy mistakes. I will likely just replace the head and fix the exhaust this year. Hope your health is better Austin. I had a plug blow out once. Layed on the foam engine seal and started it on fire. No damage thank goodness. 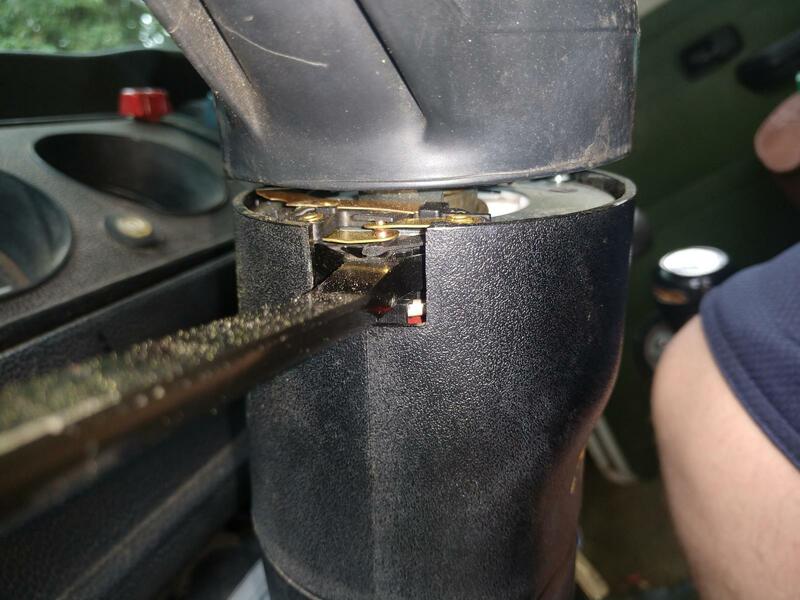 A helicoil will fix your problem, but a little tricky with the tin on. You might get lucky the plug will hang on. Or if not, an insert can get you going. I hope the summer brings better health for you. 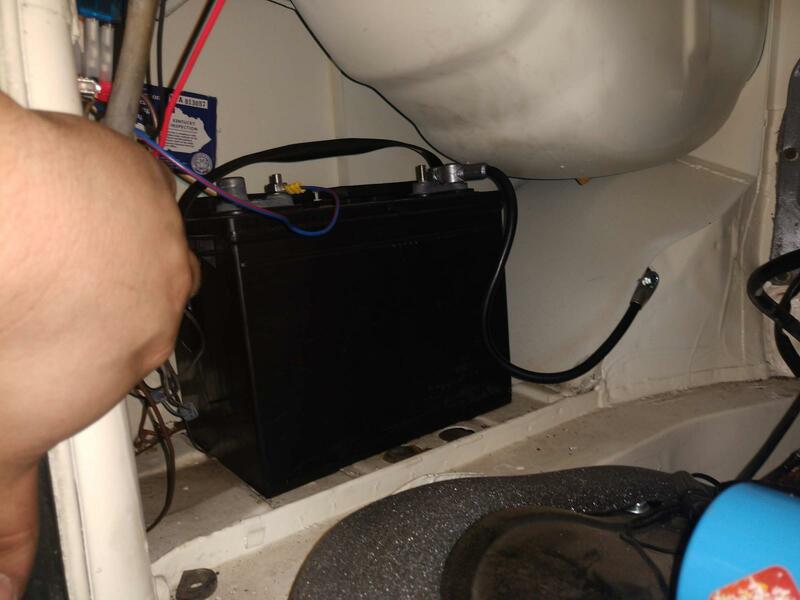 I installed a leisure battery and a split charge relay, then wired the leisure battery to its own fuse panel. I also installed a 12 volt plug in an existing hole in the dash. This allowed me to run 12v LED lights, and a fan at night. 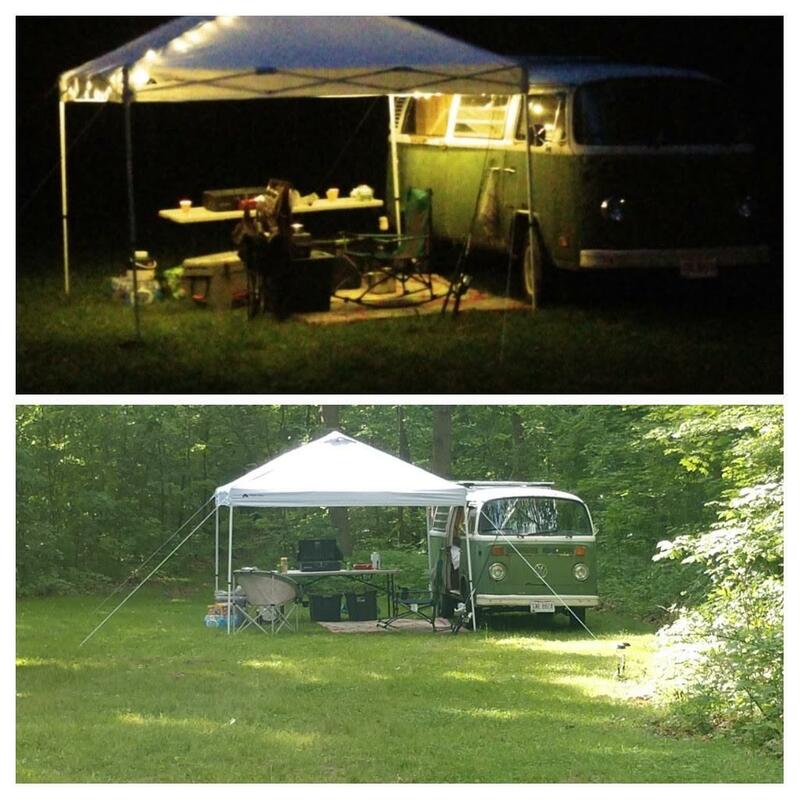 We went camping over Memorial Day weekend. On the way there, my turn signals quit working. The hazard switch fell apart. I tried to zip tie it back together, but couldn't get it to hold right, so it was hand signals there and back. This morning, I decided to figure out why the horn wasn't working. I had to replace the turn signal last year, so that is where I started. 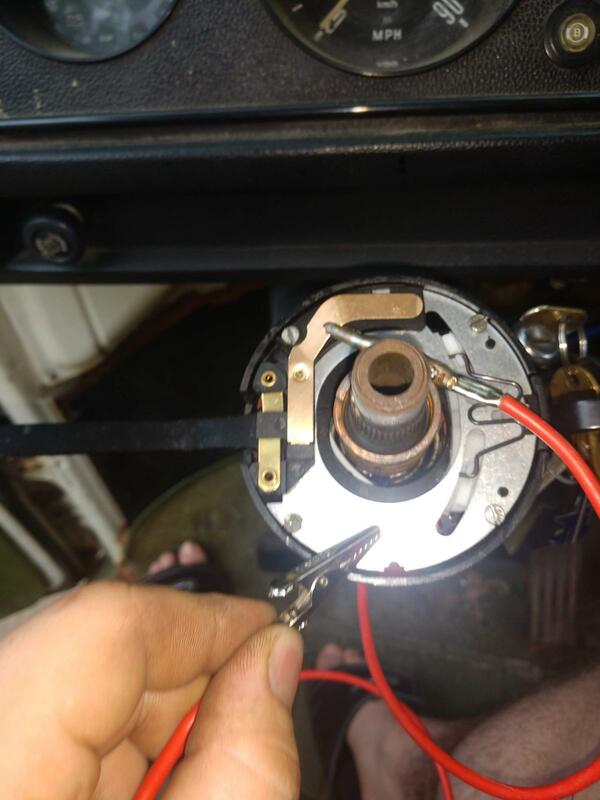 I found that by grounding the horn contact on the turn signal switch, I was able to make the horn work. I noticed the contacts for the horn were dirty, so I cleaned those up. 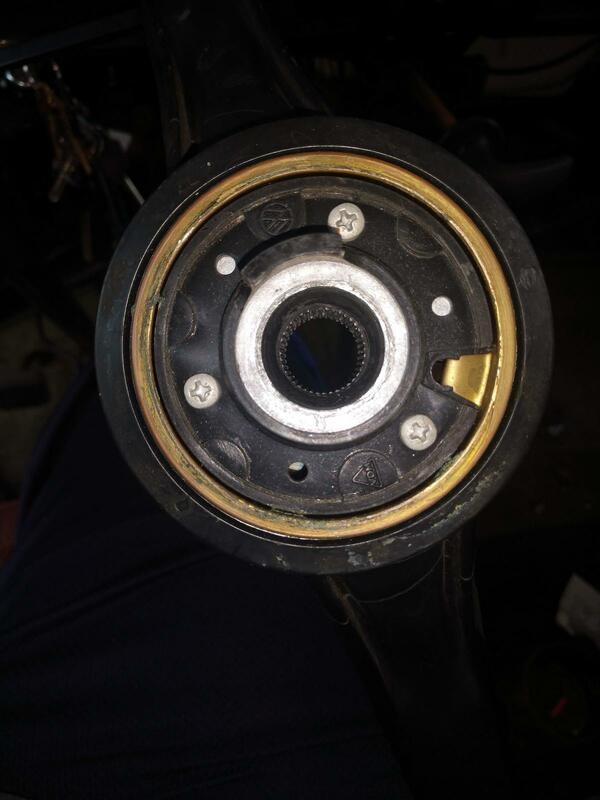 I figured out that the steering column was too low and my gap was too big. The horn wasn't making contact when you pressed the button. 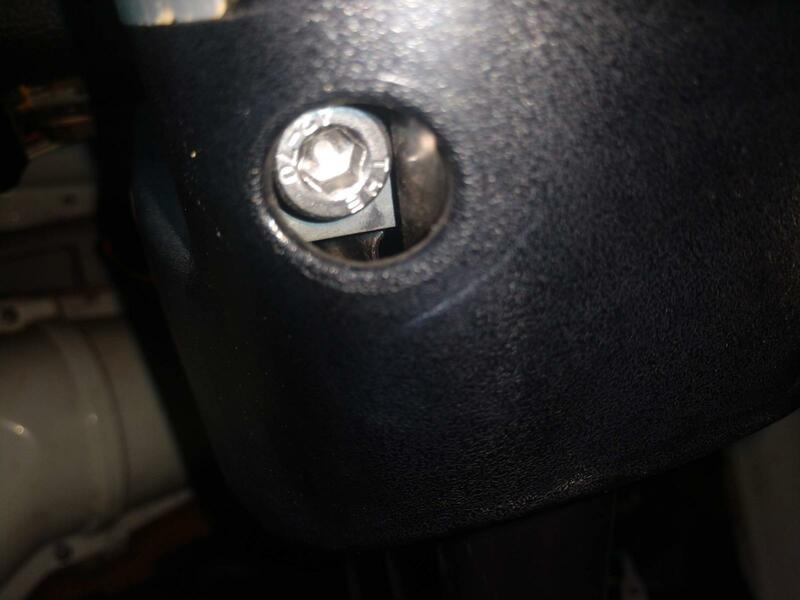 I had previously installed a new ignition switch, and at that time I drilled out the shear bolt and replaced it with an allen head bolt. I loosened the bolt, and moved the steering column up until it was in the right position per the Bentley book. Now the horn works correctly. Thanks for the tip on the ground circuit for the horn, Rick. I still have a bad exhaust leak, and based on the look of the spark plugs the engine is still running lean. I'm working to correct those issues.